I believe malpractice caused my husband's death. Of course, I'm not a doctor, and I don't know for sure. What do I do? What is the statute of limitations in Maryland medical malpractice cases? What if you can't be 100% certain the doctor made a mistake? Why do I need an expert witness to bring a malpractice claim? Do most medical malpractice cases end with a settlement? How much can I expect to receive in a medical malpractice settlement? How do malpractice lawyers find medical experts to testify for victims? Does the experience level of the victim's attorney matter? I did not follow all of my doctor's instructions? Can I still bring a lawsuit? How easy is it to settle a case without filing a lawsuit? Can I afford your law firm? In some cases, you just know the doctor committed malpractice. But more commonly, the patient or family does not know for sure what happened. Instead, they just know something was off-center, often from the very beginning, in the treatment of the patient. If you suspect malpractice, the best thing to do is: call a seasoned malpractice attorney with a history of getting successful verdicts and settlements. It is not only the best path to receive compensation; it is the best route to figuring out what happened. It is particularly true in Maryland because malpractice lawyers need to get the opinion of a doctor, in the same field, to bring a malpractice claim. The statute of limitations in Maryland medical malpractice cases is between three and five years, depending upon when the injury was discovered. Many strong medical malpractice cases are not brought forward because the victim incorrectly believes that a claim cannot be made. So they never even pick up the phone and ask if they have a claim. One common source of this confusion revolves around consent forms. Acknowledging the risk of a procedure does not mean that you are giving consent to injuries or death caused by the doctor's negligence. Malpractice cases can be complicated. The only question that matters is: was the victim harmed because the doctor did something that a reasonably prudent doctor would not have done. Signing a consent form in no way waives the patient's ability to bring a malpractice claim if the health care provider made a mistake that caused an injury or death. You don't need to be 100% certain to have a successful malpractice claim. This is not a criminal case. The victim's burden of proof is to show that the doctor, more likely than not, made an error that caused an injury or death. So a 51% chance that the doctor caused the harm is enough for a successful case. Maryland law requires in almost every malpractice case that a doctor in the same or similar field testify that that a doctor's treatment was not reasonable under the circumstances. This law makes sure that only meritorious cases are filed. Maryland's malpractice laws require that an expert who believes there is a standard of care violation must write a report, summarizing their opinions before the claim is filed. Most of our malpractice cases settle. But we have tried many malpractice cases and gotten seven-figure verdicts in instances in which the insurance company refused to make an offer. The amount of a medical malpractice settlement is correlated to the merits of the lawsuit -- how likely the plaintiff is to win the case -- and the severity of the injury. In Maryland, most clearly meritorious medical malpractice cases reach an out-of-court settlement. In cases where the negligence is highly questionable, a trial becomes far more likely. It can be a challenge finding doctors who are willing to stand up for patients at trial. It is particularly difficult to find Maryland doctors who are willing to testify against other Maryland doctor. But, thankfully, if you know where to look you can find respected and experienced doctors who are willing to stand up for victims who have wrongfully suffered as a result of medical malpractice. The two factors most closely correlated to the amount of a settlement is whether the victim died and the experience level of the malpractice lawyer. One reason for this statistic is that the best malpractice lawyers are going to get the best cases. But there is no question that obtaining experienced counsel, with a track record of success in getting quality settlements and verdicts is a critical ingredient in a successful claim. Whether you can bring a lawsuit after not following, your doctor instructions will hinge on whether the failure to comply with the instructions is what caused your injury. Sure, the doctor's lawyer will seek to make a big issue of your lack of compliance. But if what you failed to do is not related to harm that was caused, then this will likely not be a problem. A related problem we often encounter is the doctor claiming the patient failed to comply with instructions and later died. It is hard to prove the doctor is lying about the instructions that the doctor claims was given. But if there is no record of the instructions in the medical records, it is harder for the physician or nurse to make that argument. Malpractice insurers and hospitals rarely settle a malpractice case without the filing of a lawsuit. To put rarely in context, we only settled two malpractice lawsuits in 2015, without the need for a suit. 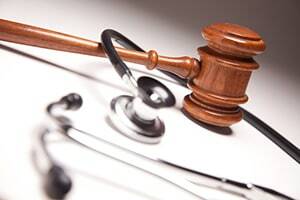 Our law firm handles medical malpractice cases on a contingency basis. Therefore, you will not pay any fee unless we get a recovery for you. We also front all of the costs in a malpractice case. If you do not win, you are not obligated to pay any costs. So the claim itself is never going to require you to pay or advance any money until you have a successful outcome in your case. If you or someone you love has been harmed or killed by a medical error, we can quickly help you find out what happened. If an error was mistake was made, we can make sure the responsible doctor is held accountable. Call us today at 800-553-8082 or fill out this free request for a claim review.